Interlocking designs are usually picked by the contractor to enhance the overall appearance of the project. There are several interlocking designs that you can choose from; a random pattern design, a herringbone design, a running bond pattern (subway tile), or a circular design. These designs are used to create some character in your project. 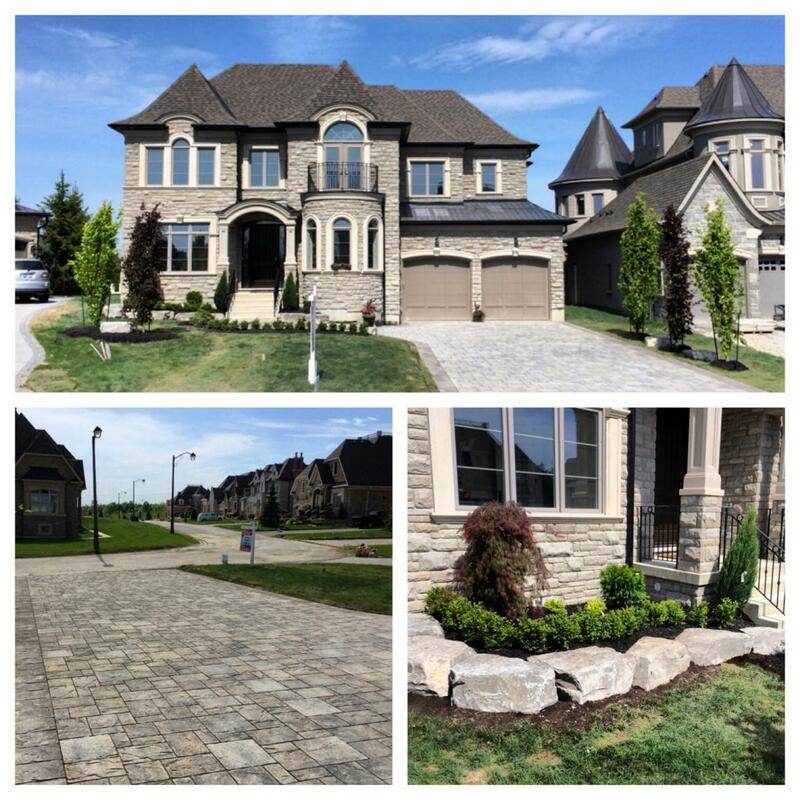 As professional interlocking installers we have been designing projects in Vaughan for our customers for over a decade. Give us a call to get started! Interlock paving has been around for many years. It has become the most popular landscape product because of the characteristics and benefits it offers. Some of the benefits of an interlock paving stone are; they are extremely durable, offers many different shapes and sizes, can choose several colors, and is permeable. 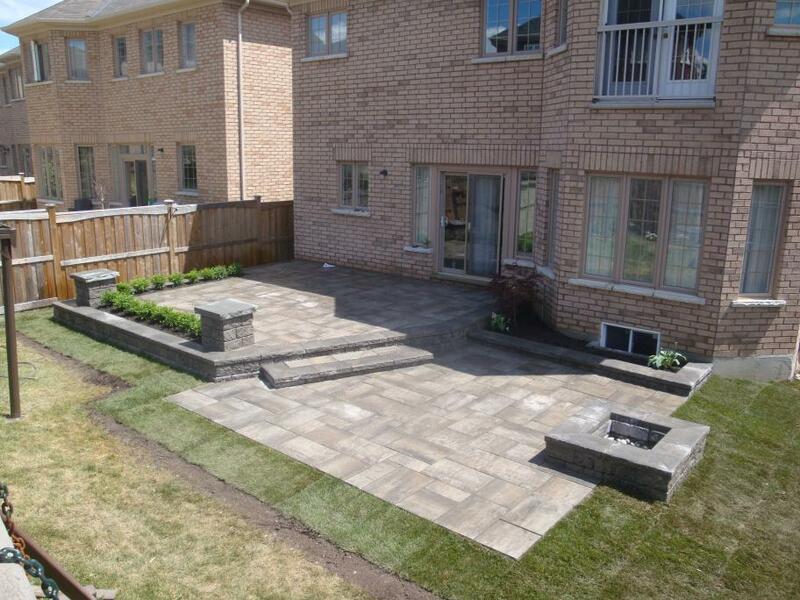 We take pride in providing only the best interlocking paving services to clients all over the Vaughan area. There are many benefits that interlock paving offers. Some of these benefits include; a large selection of pavers, several design options, easy to repair, permeable, durable under heavy weight, and they increase the value of your home. Give us a call today and we can discuss the benefits of our our work and begin choosing an interlock paver for your exterior landscaping. Call us for a free consultation today and get started on your custom interlocking design. Having an interlock driveway can increase the value of your home. By choosing the right textured paver with the right color you can greatly change the appearance of your home. It is important to build your interlock driveway on a proper base. Contact us to find out more about our Ultra-base System used on our driveways and see why our driveways don’t move. 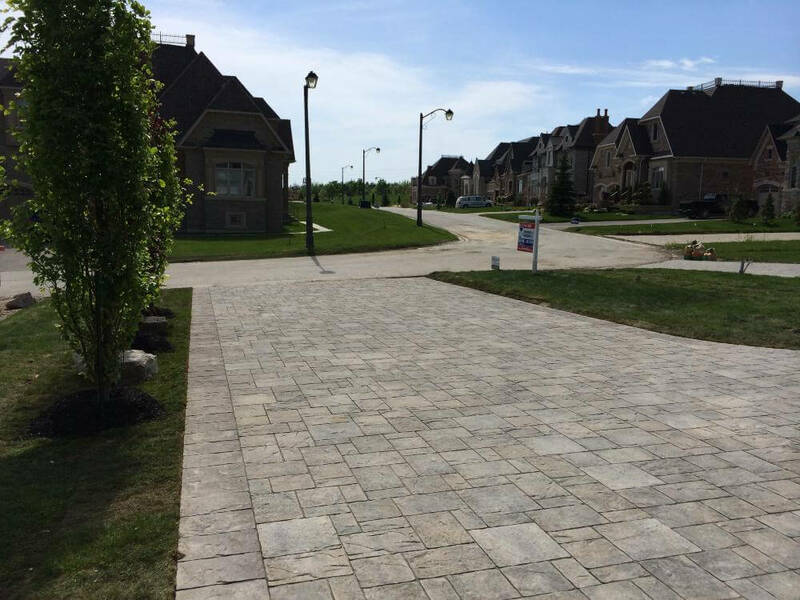 Our Vaughan based company is focused on providing and laying the best interlocking driveway designs. Give us a call today to get started. 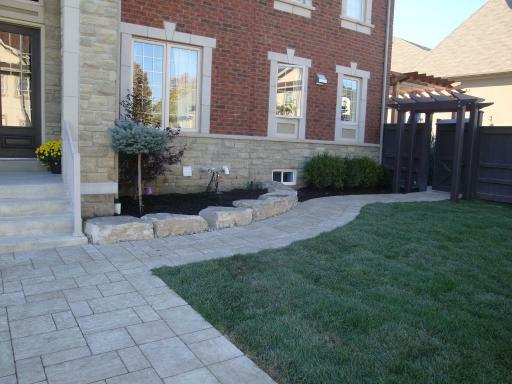 Interlocking Design & Installation We provide landscape interlocking design installation services in Vaughan, ON. Let us create a one of a kind interlocking design for you and your family to enjoy. Interlock driveways can be laid in several of ways with many patterns, colors and shapes to choose from. This means that the designs for interlock driveways are endless. It is however, necessary that you select an interlock driveway design which matches the overall exterior of your home to make it much more appealing. Interlock patios are a great addition to your home. With many designs to choose from, it is important to choose a design that suits your lifestyle. 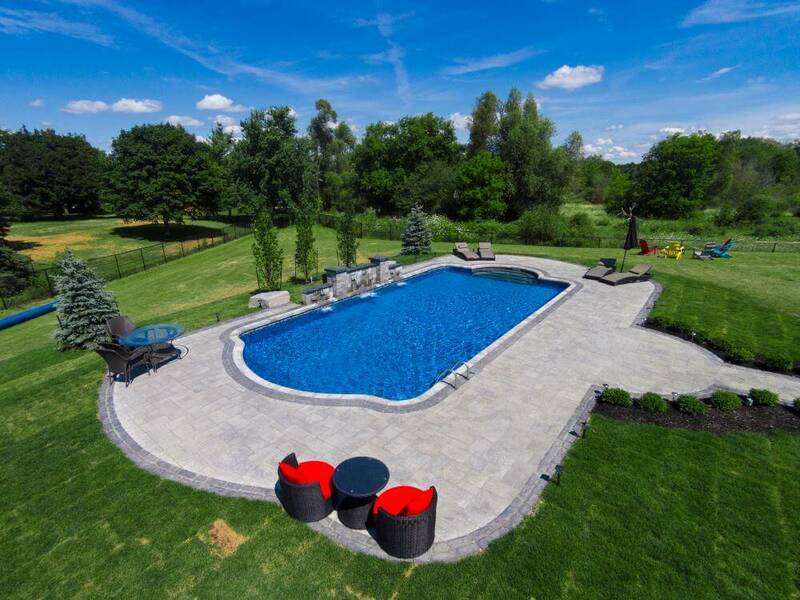 As a reputable interlocking company in Vaughan we can help you in choosing which design will work best for your outdoor living space. 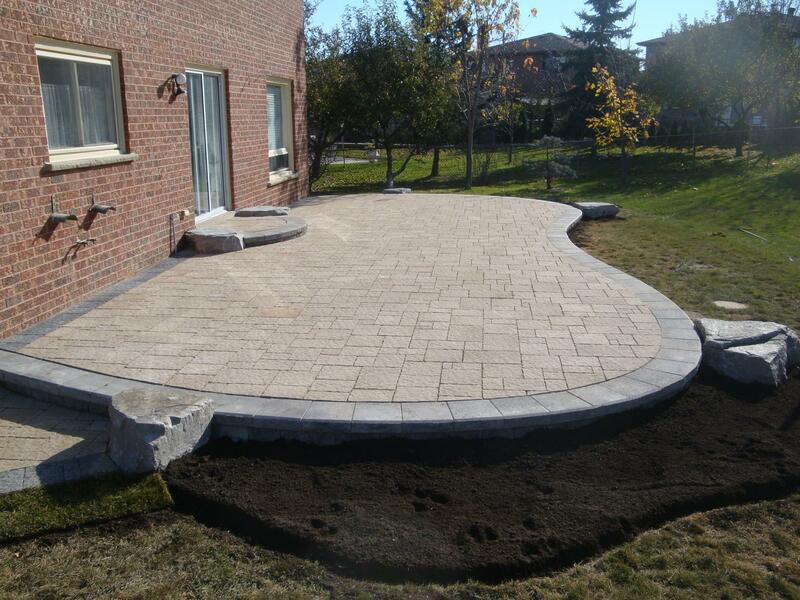 To get the best interlocking patios in Vaughan, Ontario contact an interlocking company that cares about your overall landscape interlocking design. As experienced interlocking design professionals we are committed to providing every customer with exceptional quality and workmanship. Our team provides undivided focus on each project, allowing us to exceed customers’ expectations and build a trusting relationship. Interlock paving can be used for almost any outdoor surface such as; driveways, walkways, patios, steps, pool decks, roads, porches, courtyards and terraces. Interlock paving are easy to install and require little maintenance when installed properly. One of the most important benefits of a interlock driveway is that the pavers will not crack because there is flexibility between the joints of the bricks. Unlike concrete which will crack over time, an interlock driveway will flex with the ground. If a proper base is installed, your interlock driveway will remain looking beautiful for many years.